Your wedding bouquet is an essential part of your bridal look, as it gives you the chance to spice up your style with some colours and show your personality. There are many different types of bouquets, each complementing a different style of wedding. 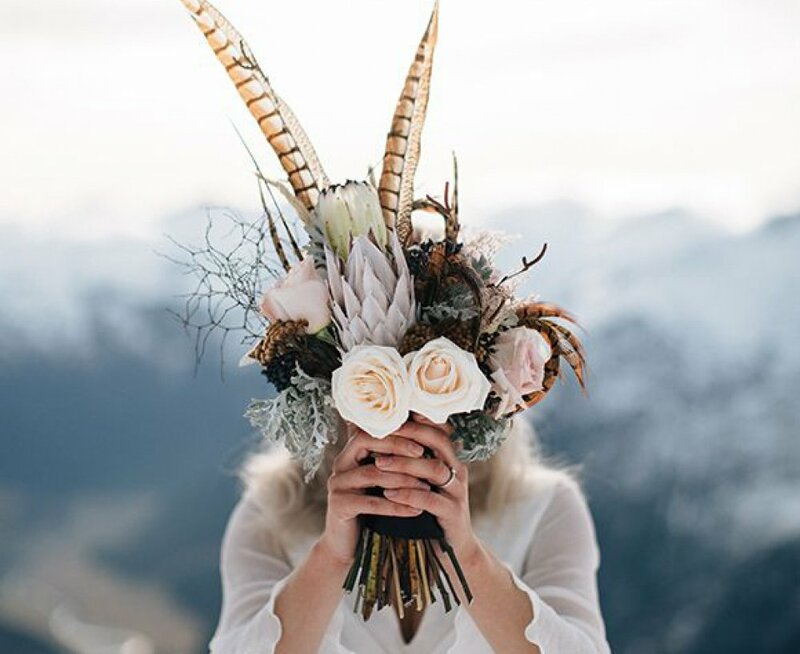 So, if you’re looking for a perfect bouquet for your boho-chic wedding, here are a few suggestions you should consider. If you’re into whimsical, more playful side of boho style, consider the paper flower bouquet. Such bouquets are cute, chic, very artistic, and they allow you to express your creativity like no other bouquet. You can even integrate your favourite lyrics, quotes, or novel passages into the bouquet and make it that much more meaningful. If you’re interested in something a bit more alternative and unique, consider adding some succulents. They will give your bouquet an interesting texture, and they are great as central flowers, especially when surrounded by some greenery or simpler herbs. Choosing this type is a great way to add some edge to your bouquet. 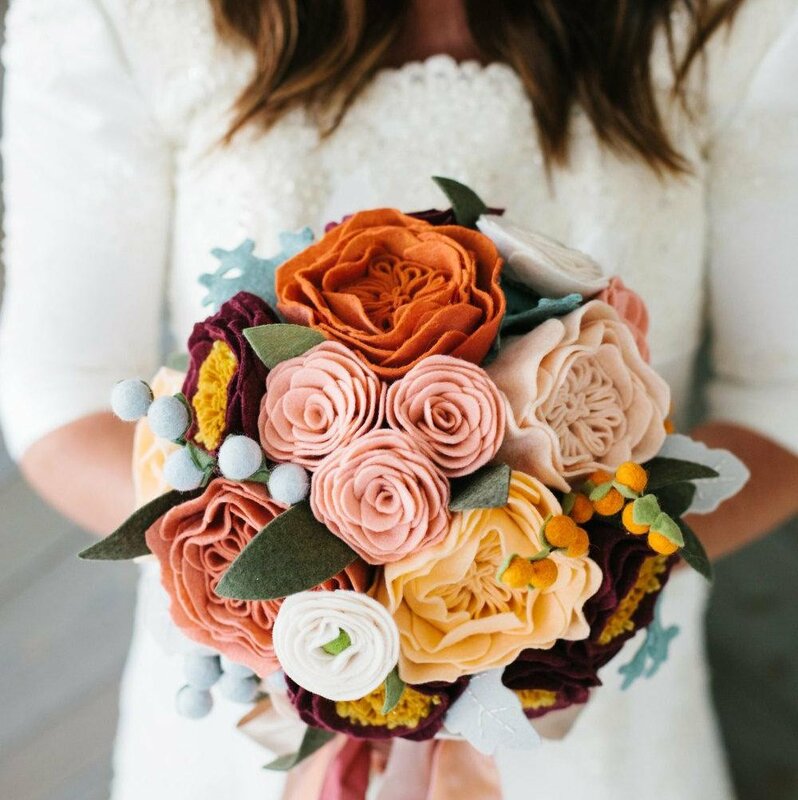 If you’re planning on having your wedding in autumn or winter, the wool bouquet is the type for you. Go for crochet flowers, yarn balls, or pom-poms ‒ you have plenty of choices. Plus, one of the best things about it is that unlike with real flowers, you are not limited by what’s in season, so you can use any colours you want. 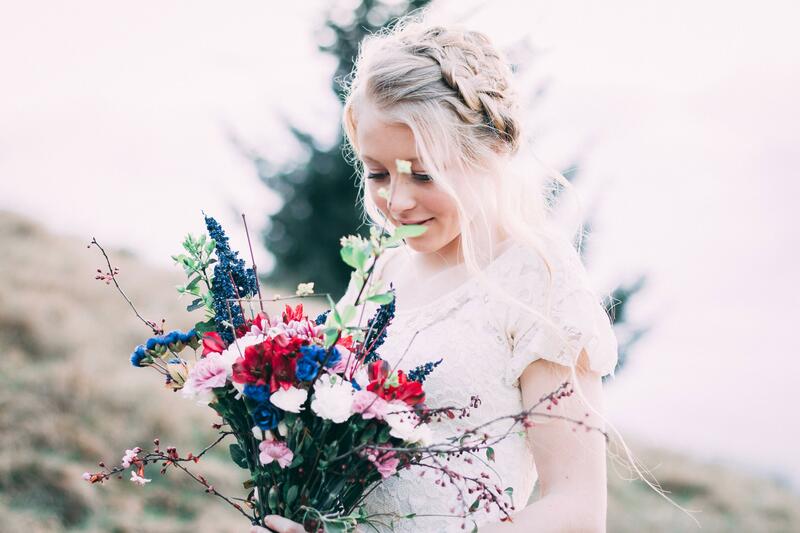 If you’re looking for something artificial that looks as close to the natural bouquets as possible, think about beautiful silk flowers that will surely match your boho-chic style. The silk bouquet can look very lifelike, and it will stay gorgeous all year round. You can also combine it with the button bouquet trend and add a couple of interesting buttons to the wrap for a more fun and less traditional look. Feathers match the boho trend perfectly, and you can use them throughout your décor as well. For instance, you can hang dreamcatchers, add feathers to the invitations, and accessorise your menu with a couple of feathers. Just try to use wild feathers in natural colours, and you can combine them with wooden flowers, neutral blooms, and pinecones to emphasise the style. 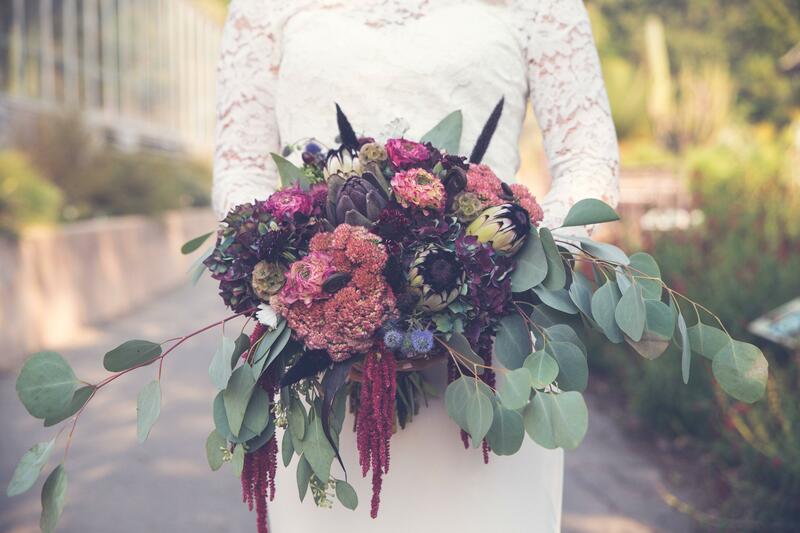 Bouquets made of dried flowers are also a great choice for the boho wedding. They are a bit less extravagant than the fresh flower bouquets, which makes them perfect for brides who want something that is not too overpowering. They can still be big and complicated, but they can also be as simple as a bunch of dried rye or lavender. 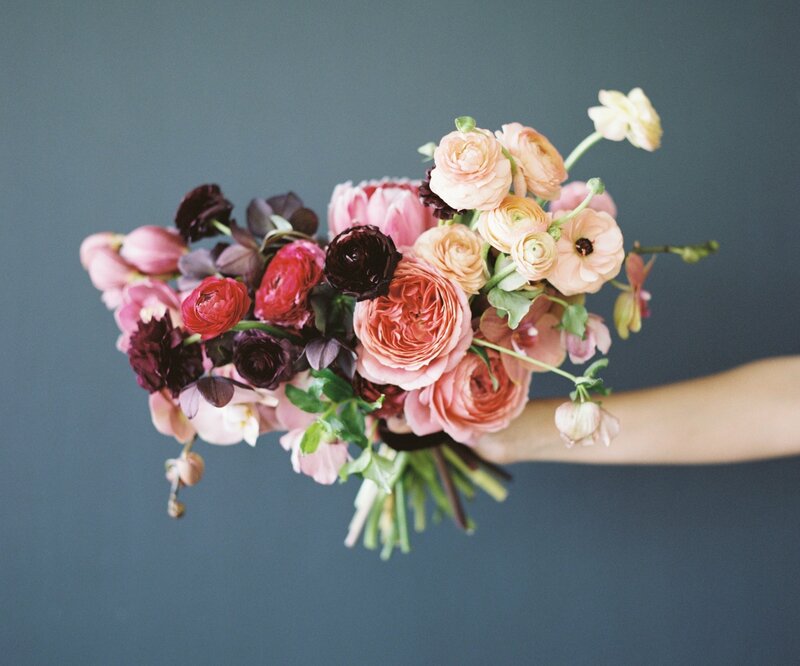 There are many unique and amazing bouquet styles for every possible type of wedding. So, think about the theme of your wedding, the colours, and your own personality, and you will surely find the bouquet that will fit you and make your day even more special.